Over the past few weeks, we’ve been able to dig up a bunch of details about Google’s secret forthcoming social service. The service, previously codenamed “Emerald Sea” but currently being called “+1“, essentially seems to be a toolbar that exists along the top of Google’s various properties to allow for easy sharing. We even were able to snag a picture of it. But there’s also quite a bit more to it, based on what we’ve been hearing. For one thing, we’ve been hearing a bit of talk about specific mobile applications, which may or may not be called “Loop” — after one of the key features of +1 (think: groups). But another feature of +1 is apparently large-scale video conferencing. Video conferencing is hardly a new phenomenon, but Apple’s Facetime, Cisco’s Umi, Skype and others have driven some renewed interested in the concept. 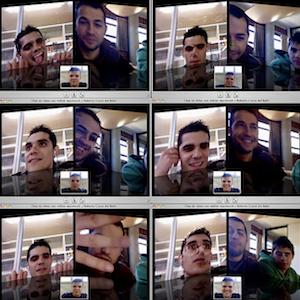 Apple’s iChat software has long supported up to four people at once on a video call. But this Google entry, which may be known as something along the lines of “Hangout” or “gConferencing”, can apparently support well over a dozen people at a time — and maybe even more. People with knowledge of the feature say it works very well. It could be tied into your Loops — you just pick the friends you want to video chat with and hit a button and you’re good. Apparently, a key to all of this is multiplexing — multiple digital streams being sent over shared resources. It may seem a little weird that such a feature would be a key part of +1, but again, from what we’re hearing, while the toolbar thing is the main entry point, it’s hardly the only part of the service.